The Public Affairs Committee (PAC) has advised the Malawi Congress Party (MCP) and the Democratic Progressive Party (DPP) to resolve their differences as the Parliamentary session has started. PAC Chairperson, Felix Chingota, says during the parliamentary session there is a need to focus on development issues rather than party enmity. “They are supposed to focus on development projects which are in some sectors and how to solve them,” Chingota said. According to Chingota, a parliamentary meeting is not there to deal with political affairs but economic issues. Kabwila: Has been vocal as well. Lately, the MCP has been attacking the DPP led government for what it terms as failure to run the country. 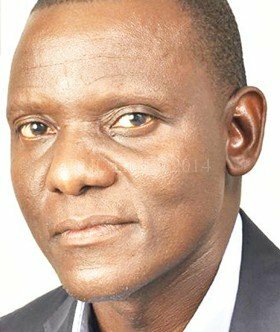 A story Malawi24 carried some weeks ago indicated the anger MCP had worn over remarks made by DPP’s leader in Parliament, Francis Kasaila that the party will never rule Malawi. Kasaila, while claiming that MCP will only rule Malawi in the next 100 years or never, said he believes that the mentality the opposition has had since the inception of multiparty democracy has been behind underdevelopment for this nation. “Let the opposition come with constructive views and not always stand to oppose everything we do. Let them join us in building this nation,” Kasaila said in response to a question on how government is coping up with pressure from opposition and pressure groups. 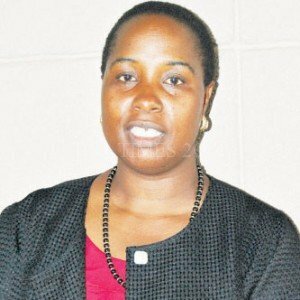 In her reaction, MCP Publicist, Jessie Kabwila in an interview with Malawi24, said that it was unfortunate for the Kasaila to say that to the media. Kabwila said that MCP is not ruling now and that it is only waiting for polls to come. “MCP is not ruling now and all we are waiting for is the next elections. He thinks ruling is taking a lot of people to the UN. Look at what is happening in the hospitals, schools will you call this ruling. “MCP is not only going likely rule, but will do so because of this mismanagement that they have done” she said. Kasaila: Has also breathed fire on MCP. MCP has since said that it is time for the DPP to pull the economy out of its troubles and not to keep trashing its critics and yet claim that it will never get out of office. Speaking at the laying of a foundation stone for the Lilongwe bypass road in the Capital City, Mutharika challenged that his DPP government is visionary when it was compared to the opposition MCP. “These people who failed to deliver for 30 years will keep being in the opposition and they will never rule this country,” said Mutharika in his mockery of the extravagant Chakwera. yesterday i waz shocked to go into metro shop just to find sugar at K625, nde olo muzibwebweta it doezent make sense to a poor malawian lyk me! vuto la a Malawi tinazolowera kutukwanizana basi,instead of coming up with constructive ideas,thats why ma shops a amwenye akumamera udzu padenga after 50+ years of independence, cash yopanga ku Malawi kumakadya pa 13 Lauvenburg street ku Herts ,U K.
mcp is an opposition party and to opposition it shall be 4ever. Mwaganizako Mwanzeru Ngati Mungakwanitse,komabe Sizikutanthauza Kuti Wina Akamawononga Dziko Muzingoyang’ana Izo Ndiye A Malawi Sitikhala Chete. Democracy is not observed here. Yes,Shut Up!Esp Both.See,If Only One Stops Then The Other Will Keep Attacking And The Noise Wont Stop. ooooh yes man! and thanks for correcting me So Shut up Both of u! !